BayWood Artists is a nonprofit group of talented local artists that partners each year with a nonprofit environmental organization to produce an exhibit that will both raise funds for, and bring awareness to, Bay Area environmental causes. The artists will donate 50% of sales from this show to One Tam’s work to protect the mountain and promote stewardship. 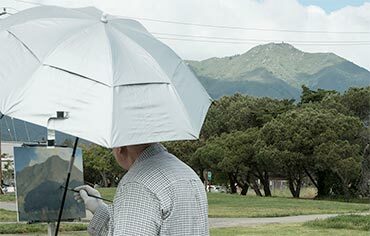 Join us at the Mill Valley Community Center on Saturday, October 1 (11 am–6 pm), and Sunday, October 2 (11 am–4 pm) for a free public show of works by these celebrated artists. Meet the artists and learn more about their work at the artists’ reception on Saturday, October 1 (3–6 pm). How healthy is Mt. Tam? The mountain’s four land management agencies, together with other Bay Area scientists, will gather at this two-day summit to begin to answer this question. 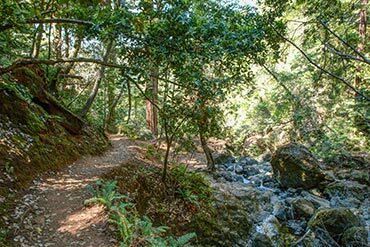 They’ll share what they know, and what they don’t yet know, about the condition of selected plants, animals, and natural processes found on Mt Tam. Friday, October 28 will focus on sharing technical material and findings with resource managers, interested stakeholders, and the scientific community. Saturday, October 29 will offer resource-based "lightning” talks, an interactive panel discussion, and a Tam-related organizations’ exhibition. Interested conservation, recreation, and stakeholder groups; teachers; students; volunteers; and community members are encouraged to attend. Both days will feature a poster session and photo contest. You can choose to come to one or both days. These findings will also be presented in the form of a scientific paper, brief summary, and a new easy-to-navigate web tool where you will be able to dig into the topics that interest you most, all accessible online this fall. Visit onetam.org/science-summit for more event details and to register. For questions on event details, contact mgentile@parksconservancy.org. For science questions, contact sfarrell@parksconservancy.org. If you’re interested in sponsoring the summit, contact mleffert@parksconservancy.org. We all have a role to play in helping the mountain’s natural communities thrive—come learn how! Each month we’ll feature a new trail or points of interest on the mountain, so check our calendar for updates. Come and learn more about Mt. Tam and get to know others who share your love for the mountain. Contact Monica Stafford at mstafford@onetam.org for more information! •	For our youngest students through high school, we support Schools on the Watershed, which provides environmental education opportunities for Marin elementary, middle, and high schools. We also host service-learning programs for classes and youth groups of all ages. •	For high school students interested in service work and opportunities on Mt. Tam, we recently completed our second season of LINC on Tam (Linking Individuals to their Natural Community) program. This is an immersive six-week experience for 18 local youth, many of whom never before had the chance to even visit the mountain. The aim is to teach outdoor and career skills, grow appreciation for Mt. Tam’s resources, and nurture the next generation of conservationists. 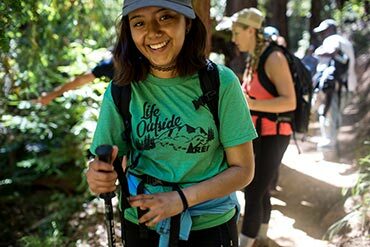 •	For our local college students, we are now partnering with the College of Marin to provide a diverse array of part-time internships that allow college students to get academic credit and professional experience while exposing them to new careers in the park. 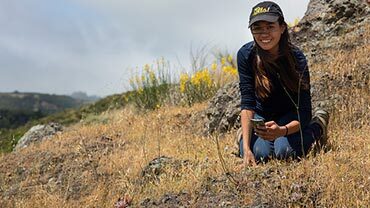 •	For those looking for their first post-college jobs and to establish their careers in the field of conservation, One Tam offers full-time, year-long internships. 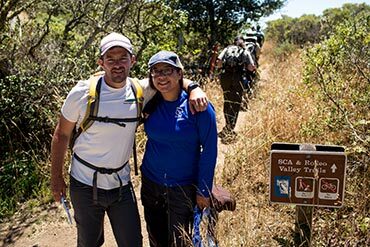 Together we aim to provide pathways for our youth to get involved, educated, and excited about conservation of Marin’s incredible natural areas. 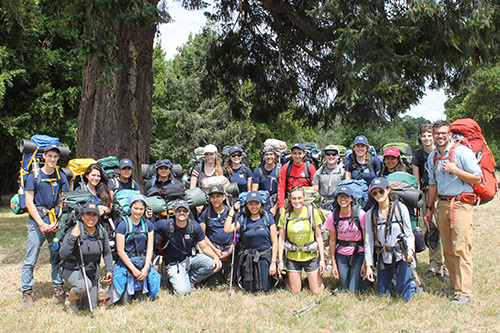 To preview the opportunities these special programs offer, check out what our 2015 LINC students said about their summer with One Tam, and take a peek at the 2016 cohort’s experience with Packing the Parks, a special event honoring the National Park Service Centennial. Contact William Hough, whough@onetam.org, to learn more about youth opportunities on Mt. Tam. •	Surveyed Bolinas Ridge for two rare Ceanothus species and one rare manzanita. By merging two teams from different agencies that used to work independently, the teams reduced double counting and improved our data. 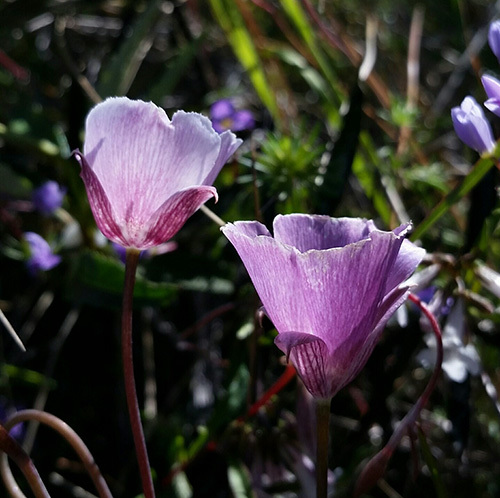 •	Surveyed Oakland mariposa lily (Calochortus umbellatus) near Homestead Valley and State Parks land, documenting five patches with more than 150 individuals. •	Began tracking 10 serpentine species at 15 barrens in the Carson Ridge region. Species included the endemic Mt. Tamalpais jewelflower (Streptanthus batrachopus), San Anselmo navarretia (Navarretia rosulata) and Mt. Tam lessingia (Lessingia micradenia). We hope to expand this project to Mt. Tam State Parks lands in 2017. This fall we are crunching numbers and sharing lessons learned, and writing our vegetation monitoring plan for next year. When we are out on the mountain at this time of year, we're keeping our eyes peeled for late blooming rarities like California bottle brush grass (Elymus californicus). For questions about our conservation management work, contact rkesel@onetam.org. On September 6, the Marin Municipal Water District Board of Directors approved the initiation of an 18-month process to develop alternative restoration scenarios for West Peak. We’ll be posting updates on our progress at onetam.org/west-peak. The goal is to find the right balance between restoring the ecosystem, preserving the site’s history, and improving access and interpretation for visitors. We are still seeking financial support for this phase of the project; if you are interested in contributing to the improvement of this special site, contact mleffert@parksconservancy.org. You can also contribute to our process by telling us how you experience West Peak! Take the brief survey now. Capture any cool photos up at the site? Share on social media with#westpeaking to help us gather different perspectives of West Peak. Say hello to Jacob Martin, Naftali Moed, and Maegan Tell, One Tam’s newest team members! They will be assisting our program managers over the next year to deliver and further develop our stewardship, education, and outreach work. You’ll see them out on the mountain starting September 13. Meet One Tam and partner staff this fall at the Sound Summit, State Parks’ Poetry in the Parks event, and the 60th annual Mill Valley Fall Arts Festival. Stop by during your visit for updates on current projects, events, and opportunities. We hope to see you there! Introducing the new One Tam Roving Ranger! This mobile trailhead and park education hub will debut at community events this fall. You’ll find it at locations throughout Marin, offering information on Mt. Tam’s parks and trails, natural resources, special events, and volunteer opportunities. The One Tam Roving Ranger brings the mountain to you! Join us for an interactive discussion with executives from One Tam’s partner organizations on November 12, 3–5 pm, at the Corte Madera Community Center. Learn more about One Tam’s programs and projects, and plans for the next year of partnership. Representatives from the National Park Service, California State Parks, Marin County Parks, Marin Municipal Water District, and the Golden Gate National Parks Conservancy will be on hand to answer your questions. Are You a One Tam Member? 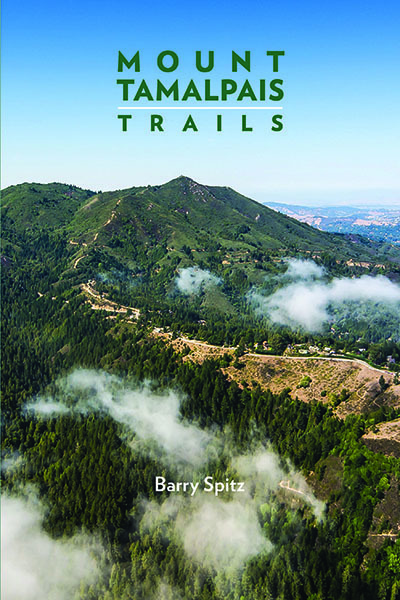 Join and support the mountain you love, and you will receive a free copy of Barry Spitz’s definitive trail guide, Mount Tamalpais Trails—as well as access to our new monthly member hikes. Visit our giving page to learn more about member benefits. One Tam’s work to protect the mountain and enrich educational opportunities would not be possible without your contributions. Help make our upcoming events extra special by donating a few bottles for our guests to enjoy (and we hope you’ll join us too!). We are especially looking to provide reception refreshments for the Mt. Tam Science Summit and the BayWood Artists benefit (Saturday, October 1 only). Donations are tax-deductible. Contact Monica at mstafford@onetam.org to support. Do You Shop at Mill Valley Market? We are now members of the Mill Valley Shop & Give Program. Just tell your checker at the check stand that you would like to support One Tam. Mark your calendars with these upcoming special events!